When considering how branding works in residential water treatment, manufacturers and local dealers might be missing out on a major opportunity. In many cases, dealers and original equipment manufacturers are failing to connect the power of their respective brands. A manufacturer’s product brand represents the physical solution, or what a dealer sells. Meanwhile, a dealer’s local service brand represents what the consumer grows to love and trust with their water needs throughout the sales, installation and service life of the product. Some dealers prefer to sell generic products or brand them with their own logos, and some manufacturers force dealerships to rebrand under their national name. Dealers are rightfully hesitant to give up their identity and potentially lose the reputation and recognition they have built in their local communities, often over several generations. There is room for both strong national product brands and local brands in water treatment, and they can work even more effectively together than on their own. 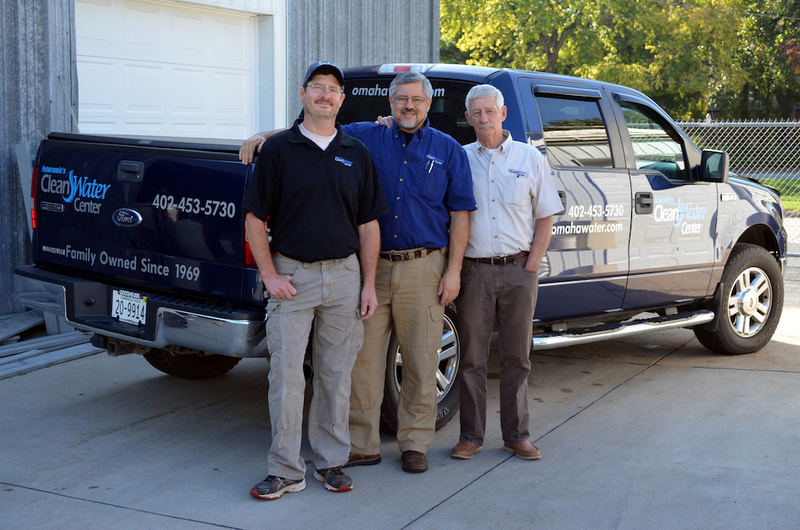 Phil Rhodes owns Futuramic’s Clean Water Center, an Evolve dealership in Omaha, Neb. His father started the company in 1969 and it has had the same name since day one. People in the community have grown to know and respect the dealership. Futuramic’s spent decades building its reputation and loyal customer base. The community knows the dealership is locally owned and they know that Rhodes and his team have a deep understanding of how to treat problem water in Omaha. When people in Omaha look for a trustworthy dealer, the best service, and referrals from family and friends, the Futuramic’s name often comes up. That means a lot, and there would be no reason to throw out what marketers call “brand equity” just so Futuramic’s could start selling one type of water softener. For that reason, the company originally sold a variety of water softeners from different manufacturers. When Futuramic’s eventually found the right partner, everything changed. Brand Until the late 1990s, Futuramic’s was offering “a hodge-podge of equipment,” Rhodes said. Futuramic’s also was viewed as the least expensive water treatment dealer in town. Then, Futuramic’s started exclusively selling one brand and completely changed its approach to sales and marketing. “As we brought in a brand for the first time, we were selling something that was more than just a generic softener,” Rhodes said. “In our marketing, we promoted the idea that the brand was American-made and from a family-owned business, like ours. After we had a product brand, we could talk more about the quality of the equipment and how it addressed problem water differently.” Moving away from being the low-priced option in the community helped Futuramic’s find success. Now, when Rhodes gets referral business from current customers, people are asking for the brand of water softener their neighbors have by name. Futuramic’s did not have to change its identity to find success selling a specific product brand. Instead, Rhodes and his team found ways to leverage the national brand and grow the business. That is the advantage behind telling two unique brand stories. When customers buy a product, especially one that will impact their daily lives, they not only want to know who sells it, but also who makes it. Manufacturers should focus their energy on innovation and product development, while dealers should present themselves as the local water treatment application experts. There are many ways manufacturers and dealers can combine their sales and marketing efforts to strengthen both brands. One of the most overlooked strategies is co-op programs. Manufacturers have the budget to promote their product brands with different types of content and advertising materials. When dealers share the local spotlight with the national brand they offer, the manufacturer helps cover the costs and provides valuable resources. A strong co-op program can provide things such as pre-made print ads, radio spots, sales brochures and social media content. It often works best when these items are customized to include a dealer’s own logo and localized contact information, publically marrying the two brands. Branded content should vary from promotional to educational. “Education is the only way to turn a price shopper into someone who will buy a quality product,” Rhodes said. At the end of the day, homeowners want to get the best products from the best people. You can have the best employees and incredible customer service, or similarly, offer the strongest product brand, but if one of the two lets people down, customers will not come back or refer you. Manufacturers of water treatment equipment would be nothing without the people representing their brands and products in the local markets. Comparably, dealers stand to benefit from the power and pockets of a recognizable brand. Just like any partnership, it should be the right fit. Manufacturers need to find dealers who can represent their company in a positive way. Dealers need to find manufacturers who can provide marketing support, hands-on training and a quality product. Once you discover that partner and start working together, you will start to see the power of growing and leveraging both brands. Erik Koglin is field manager for Water-Right Inc. Koglin can be reached at [email protected].